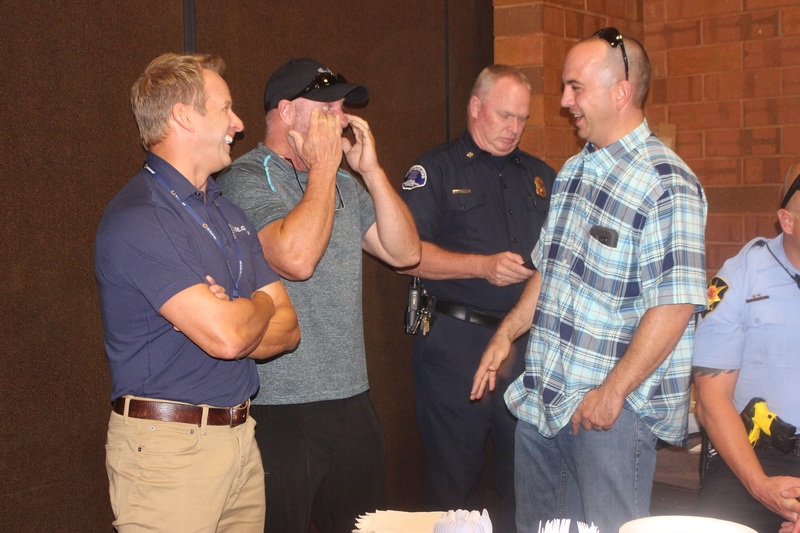 ST. GEORGE — St. George was a different place in 1983 when Craig Harding joined the St. George Police Department, and after nearly 35 years of service he was honored at an event Monday where the newly retired sergeant said his goodbyes. 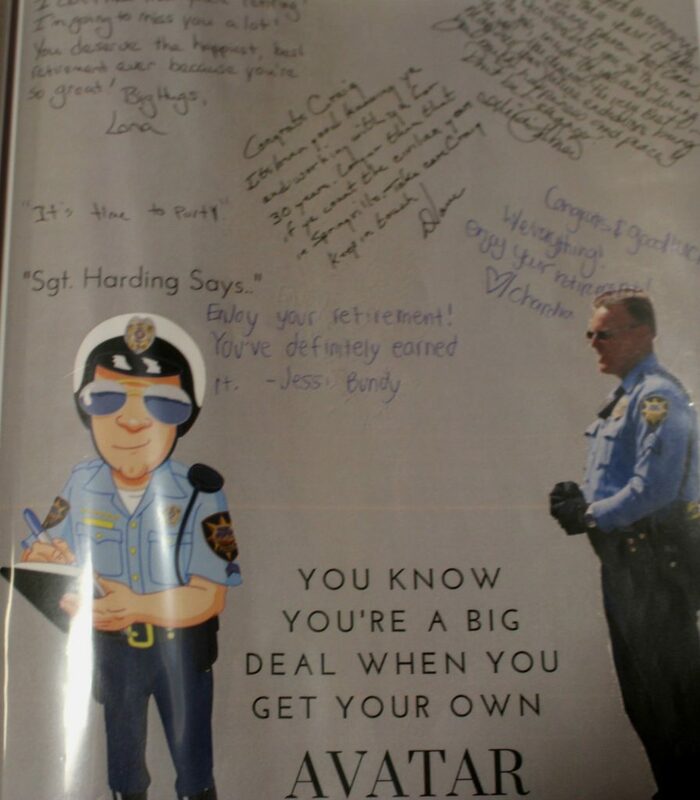 A crowd of more than 100 friends, family and fellow officers gathered for the open house held at the St. George City offices to recognize Harding for his years of service. 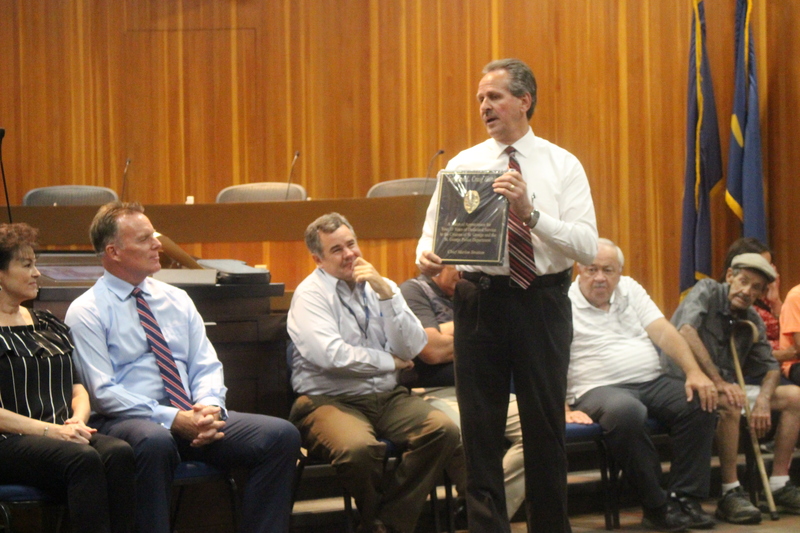 “To celebrate the long career of an officer and friend who never let you down,” St. George Police Chief Marlon Stratton said as he presented an engraved police retirement plaque to Harding. 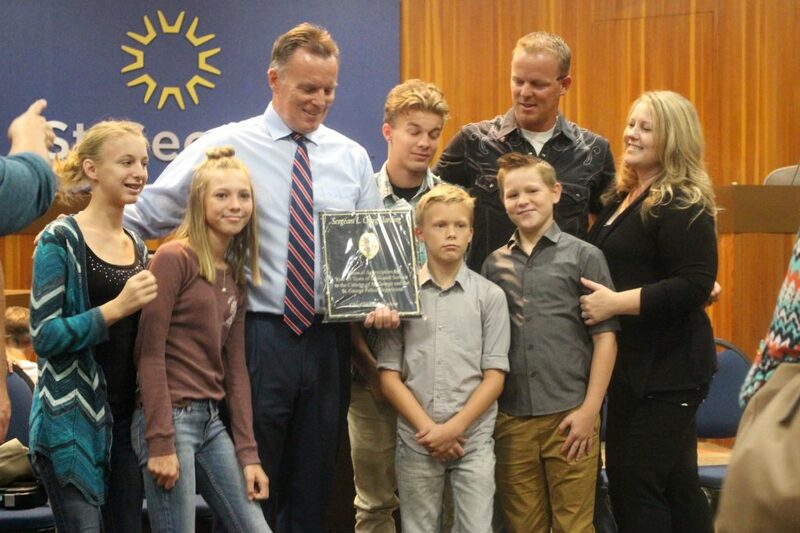 Stratton spoke of Harding’s work ethic, commitment to the department, and his devotion to family. 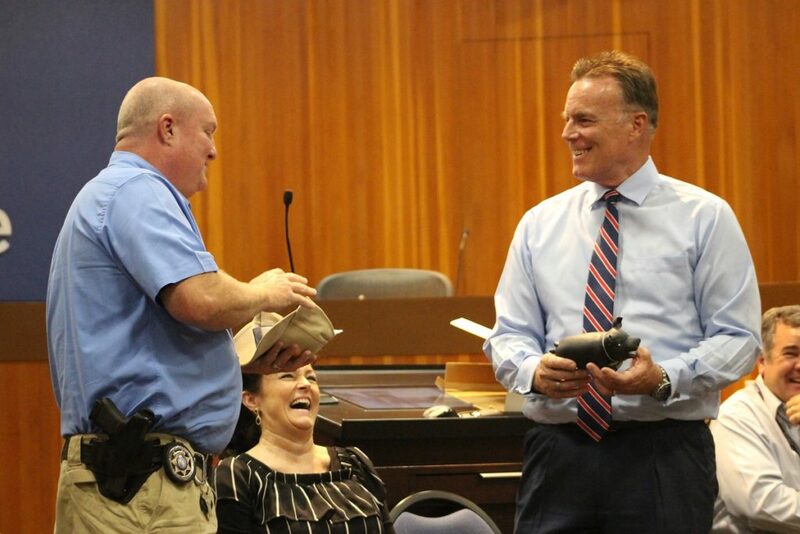 Washington County Sheriff Cory Pulsipher also spoke during the ceremony and presented Harding with gifts – including a new pen. “We wanted to give you a brand new pen, because the one you had must have worn out with all of the tickets you wrote,” Pulsipher said. Harding’s career started in 1981 when he got a job with the St. George City Parks Department, he said. 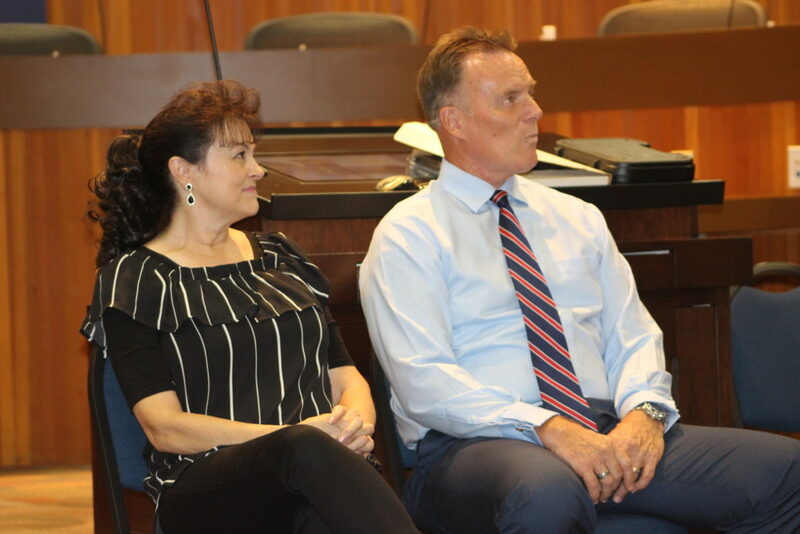 At that time, four parks employees were responsible for maintaining the city’s three parks, he told St. George News in an interview Sunday. 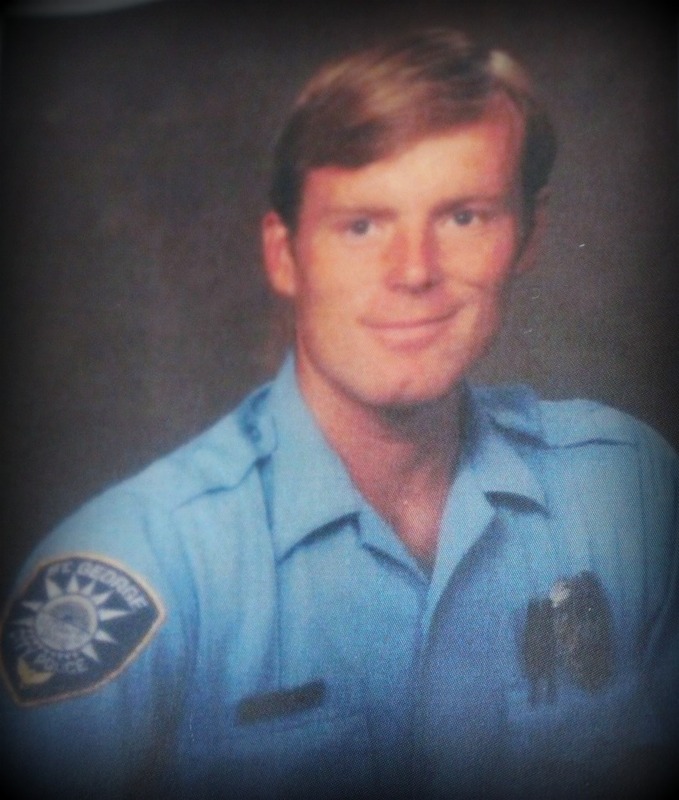 After graduating from the police academy, Harding joined the police department in 1983 when a position opened up, he said. 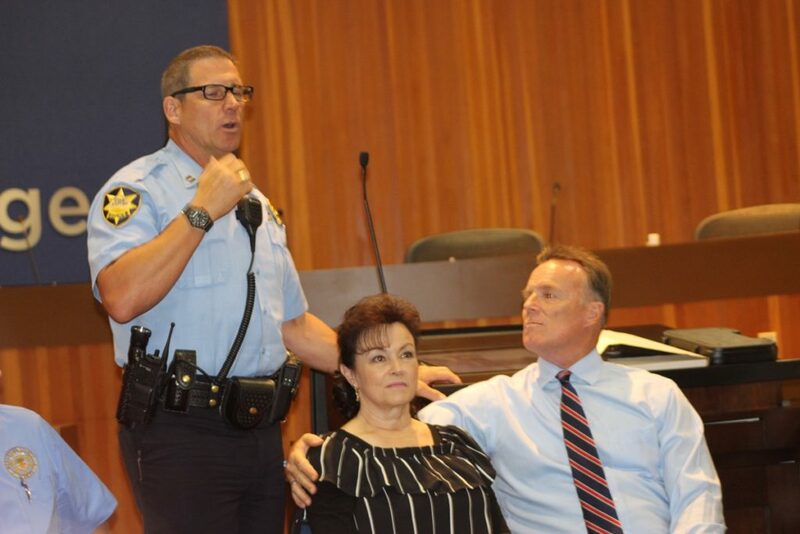 He was sworn in as the 22nd officer of the St. George Police Department, serving a population of 20,000 residents. 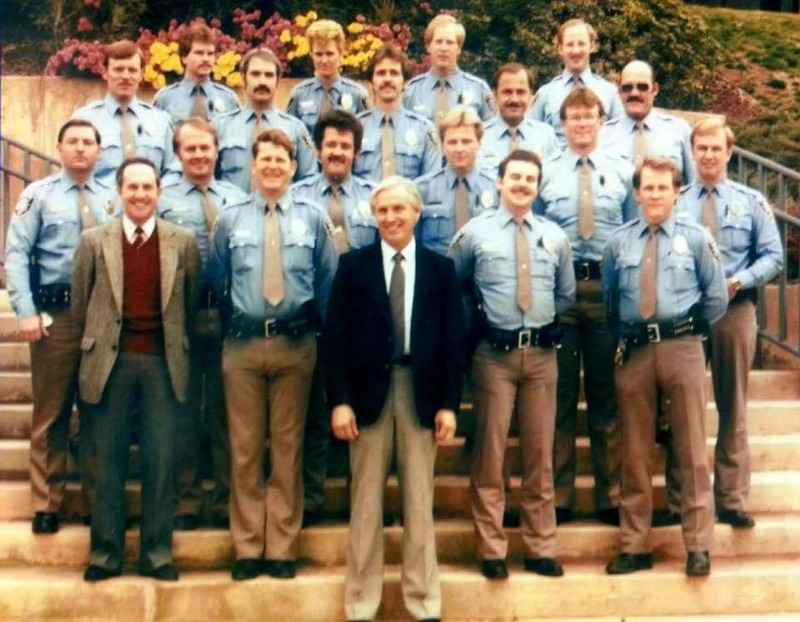 Today, nearly 35 years later, the number of officers has grown to 111 in a population of more than 80,000, Harding said. Harding said he wanted to be a police officer for as long as he can remember. When he was in the seventh grade in Rexburg, Idaho, his class was required to choose an occupation and then spend a semester investigating the various aspects of it. He chose law enforcement. “I’ve always wanted to be a police officer, and even went on a ride-a-long with an officer in the seventh grade,” Harding said. Harding said the career as a whole was more than he thought it would be, both in the positive and the negative aspects of the job. 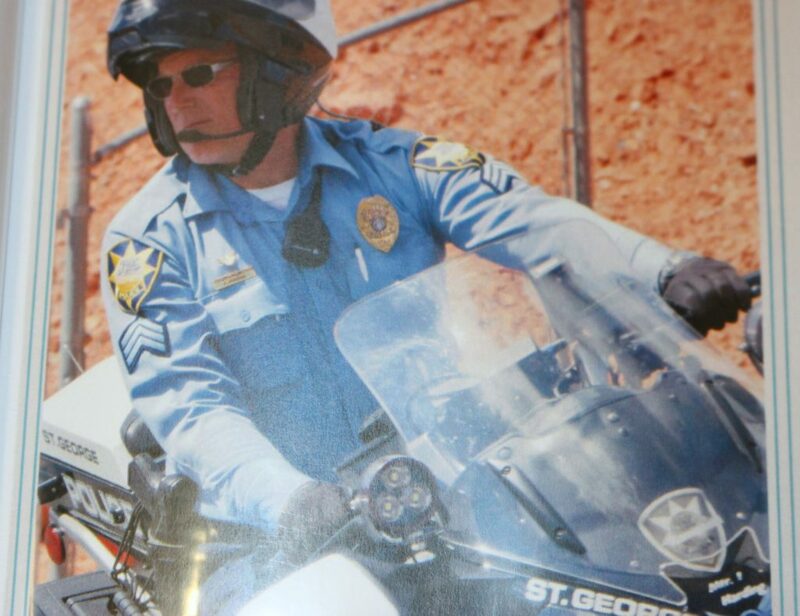 When he joined the force his dream was to make a difference in St. George, he said, and to make the community a safer place. As time went on he realized he would need to reevaluate his goals and aspirations to make them more realistic. He said he discovered that he may not be able to make a difference on a grand scale but could make a big difference on a smaller scale by helping the individuals he met on patrol. He also responded to thousands of crashes over the years, he said, which afforded him many opportunities to help people who were injured. You may not change the whole city. You might not even change your neighborhood, but you can change one person. So look for the person today that you can help and help them, and you’ll have a good career. St. George Mayor Jon Pike spoke before the crowd during the celebration and commended Harding’s efforts in the community, his involvement in the Chamber of Commerce and his interactions with the public. “He’s just always been very involved with the public, and personally I just appreciate all the he’s done here in the community,” Pike said. 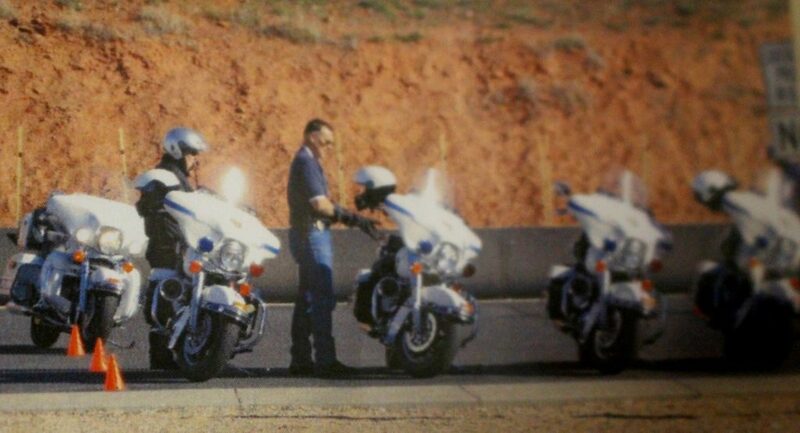 In addition to supervising the the traffic unit, Harding also served as an instructor in multiple disciplines within the department, including traffic, radar, accident investigation, andmotorcycle and DUI training. 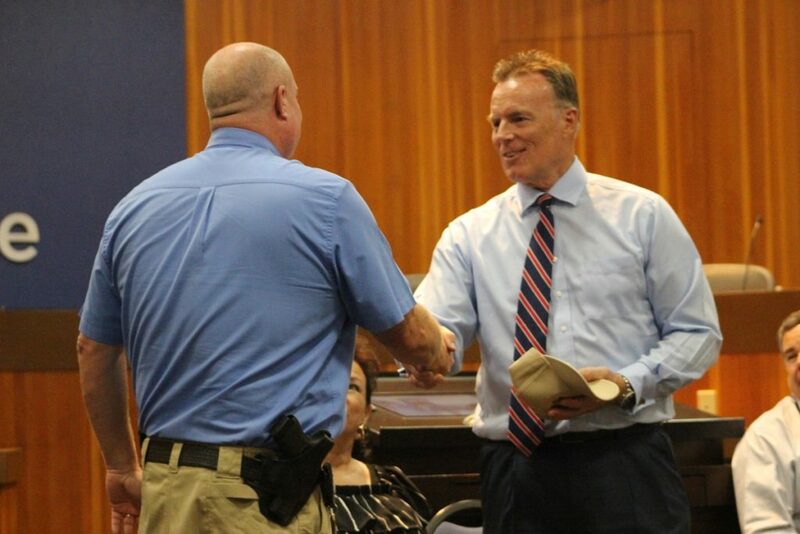 He also taught classes on various topics at the police academy for more than 15 years. In terms of his plans for the future, Harding said he wants to complete some home projects now that he has some time on his hands. He said he stays busy helping with the care of his 94-year-old father-in-law and that he looks forward to spending more time with his wife, Jill, and their seven grown children and more than 20 grandchildren. He also wants to learn how to play with the new fidget spinner he received as a retirement gift from his grandchildren, he said, but otherwise he has no big plans, except maybe one. “Once I’ve finished a few things around here I might just sit in a lawn chair out in my front yard and watch for burglars in the middle of the night, and have 911 on speed dial,” he said. Good job, Sarge! 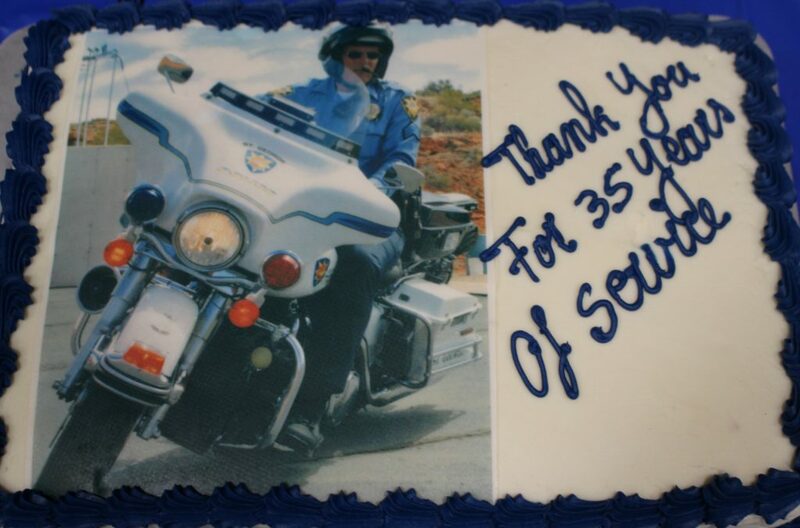 Enjoy your retirement, you’ve earned it. A job very well done Sgt! Hope to see you around, now everyday is a Friday, Saturday, Sunday….you get the drift….you’ll have to grow into retirement, but someday soon you will wonder how you ever had time to work!